Thank you for being curious about my new podcast! The show will focus on entrepreneur-spirited women as they share their passion and stories of success, which will include the woes and wins of women from around the country in various entrepreneurial genres. These women overcome obstacles and achieve anyway! Learn how they do it, why, and how they give forward. Anyone who has achieved any significant level of success has gone through, around, or over something to accomplish a big dream. Successful female entrepreneurs are no exception. They, too, have their share of woes to wins. Success dictates the ability to be resilient, yet resourceful enough not to break or remain broken. Catch the show here or on your favorite podcast platform. If you enjoy it, do leave a review. Feedback helps with ratings and is valuable to us (host and guests). Also, wherever you tune in, please like, share, and subscribe. Get ready to dream bigger and be inspired and empowered to win! Are you a woman entrepreneur who wins, push through obstacles, and have a message, product or service that will inspire and empower other women? If so, you may be just the right person for the show! To be considered, please complete the form below. NOTE: The Entrepreneurial Focus should be your primary profession or a revenue stream with notable evidence of proven (measurable) success and at least three years in business. Be sure to include all items requested on the Interest Form. 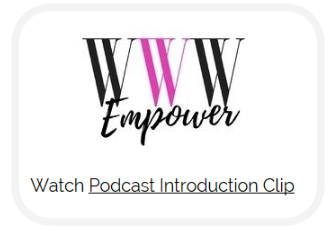 Thank you for your interest in being a guest on Women Who Win Empower Podcast. Your information is being reviewed. Expect to be contacted soon with the next step. Briefly describe 2 examples of proven and measurable business success. To encourage listenership, guest are expected to share posts and promote your episode with your audiences and lists. NOTE: To ensure future delivery of emails, please add pat@patbfreeman.com to your address book.